That neck geometry, for those who haven't played one of these, is one of the real benefits to this guitar. Upper fret access truly is excellent. At Tuesday nights rehearsal, I switched guitars with my buddy who plays an LP Standard. Beautiful guitar. Within 30 seconds of putting it on, he said, Nice, so light! Followed immediately by wow, extra frets! as his fingers danced at 19/20/21. felt like I was holding a 4x4 in contrast with the LP, although I loved the the neck itself, and the sound. Yes, my first impression on picking up an idol was wow--this is light! I later weighed mine and it came in at 8.4 lbs, which was not that light after all. My strat is 8 lbs even and my HB-35 is 8.2 lbs. Of course, my scale may be not that accurate, but it's close enough to let me know that the light feel is not solely due to actual weight. I suspect that the Idol's excellent balance is a factor. We had a discussion about construction of the WI-67 vs. the WI-66 that started here http://forums.washburn.com/topic.asp?whichpage=0.633333333333333&TOPIC_ID=18953#125737, but when the discussion started focusing on the construction of a WI-66PRO, I thought it would be more logical to post the pictures here. My Wi66Pro is a 2003, with a quilted blue top. dark blue, I couldn't tell you how it was constructed. I just looked at it, and I don't see anything but dark blue. I initially thought the same thing about the color concealing the grain, until I held in in direct sunlight. Might be worth a try. Most importantly hope we're all playing them! @BNS: sounds like you have owned many more guitars than I, how does the 59/CC pairing stack up against others p'ups you've used? What do you play through? I tried holding mine under sunlight, but no deal. on the sides of the guitar, the finish is very thick. 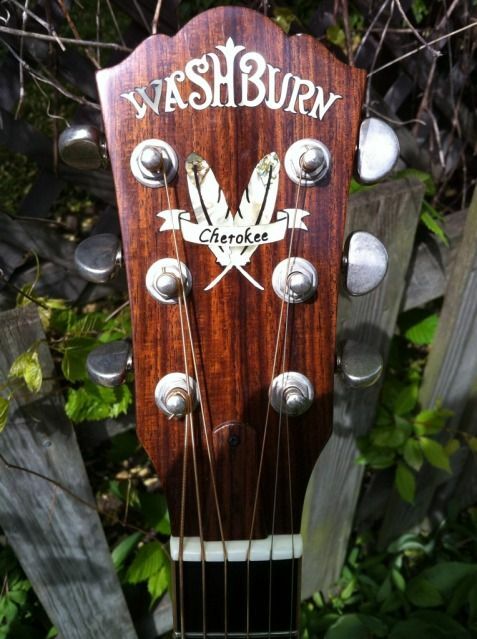 You can see wood grain on the back of the guitar though. That's one thing I don't like about mine. It's like a blue candy apple. It's hard to tell thet there is actually wood under there. Beautiful, H69! Have you left the VCC alone? don't know if I will bother. If you don't have a strong preference, I would suggest not changing anything. That is a beautiful guitar. as well. It's less than $100 for prewired kits. a difference with these guitars.